All respected customers who are interested in sale/purchase of DHA Quetta. 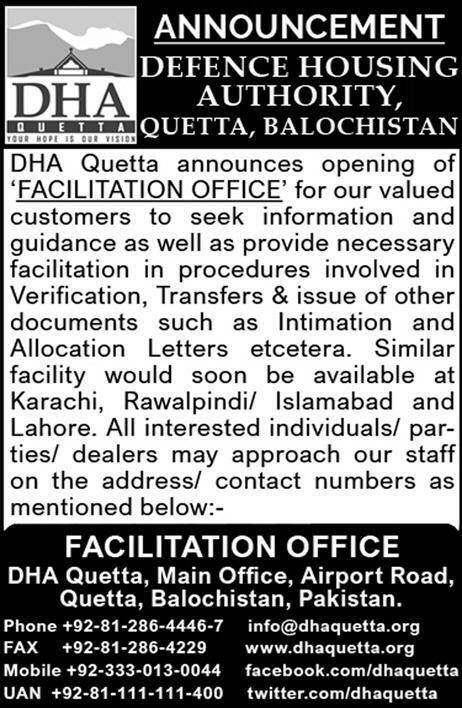 DHA Quetta announces the opening of Facilitation Office for its valued customers. 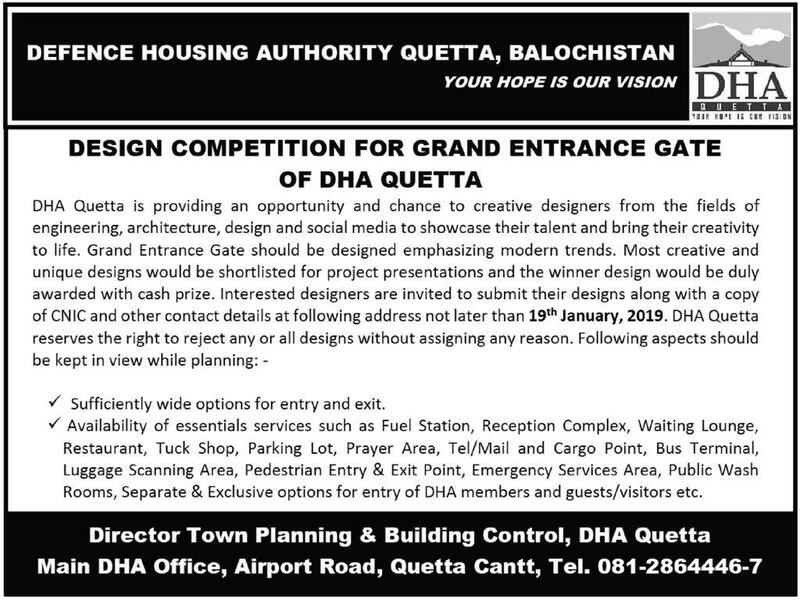 Design competition for Grand Entrance Gate of DHA Quetta. 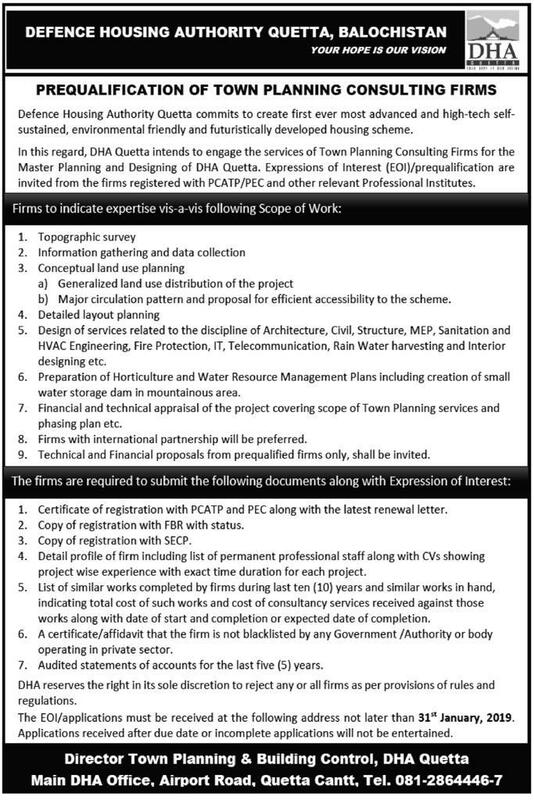 Prequalification of Town Planning Consulting Firms. 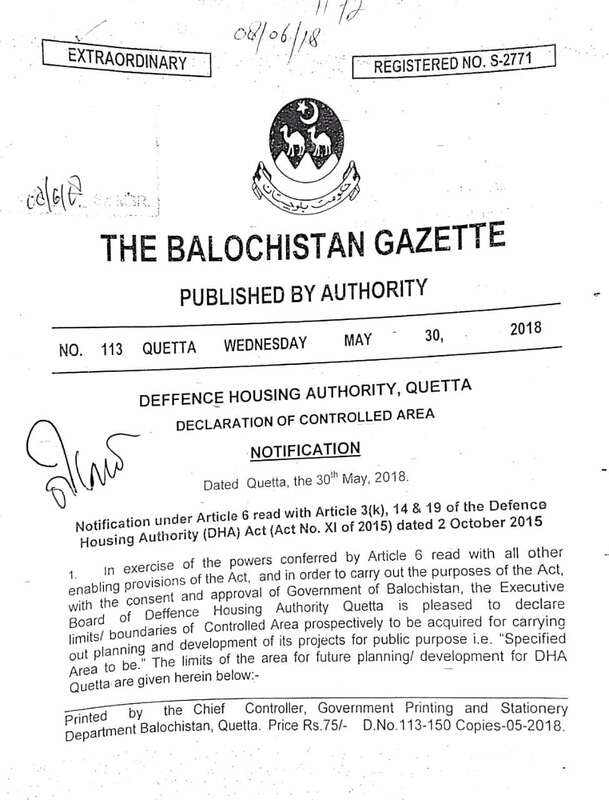 DHA Quetta Controlled Area Defined. 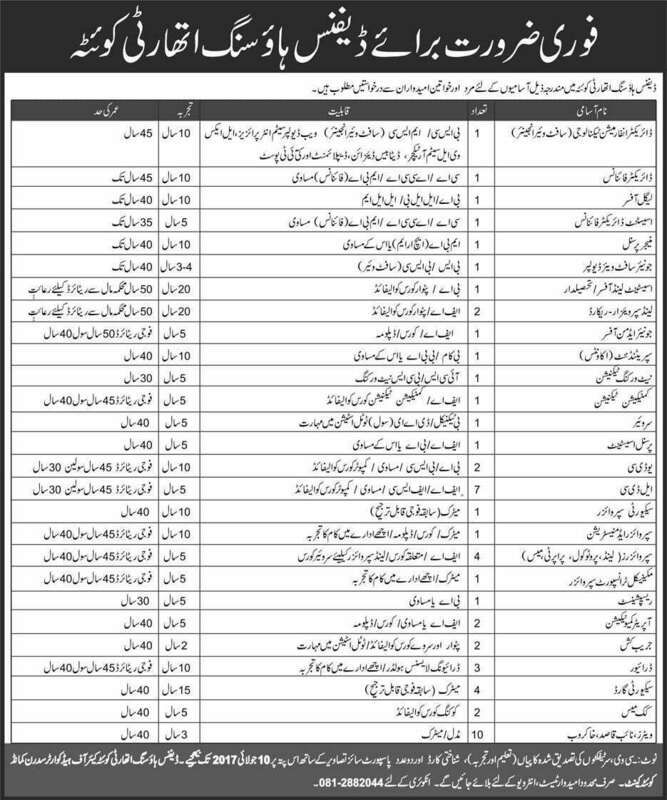 DHA Quetta is Hiring Staff for Main Office. DHA Quetta is conducting a Competition for Designing Logo.